Jendela di Bali. a private villa ESTATE on the island of Bali. and offers you a window onto an ancient culture. value authenticity and seek serenity with style. Step outside the gate and discover quaint villages and verdant rice fields. Within a short drive, sacred public temples, ancient relic sites and volcanoes all await your discovery. 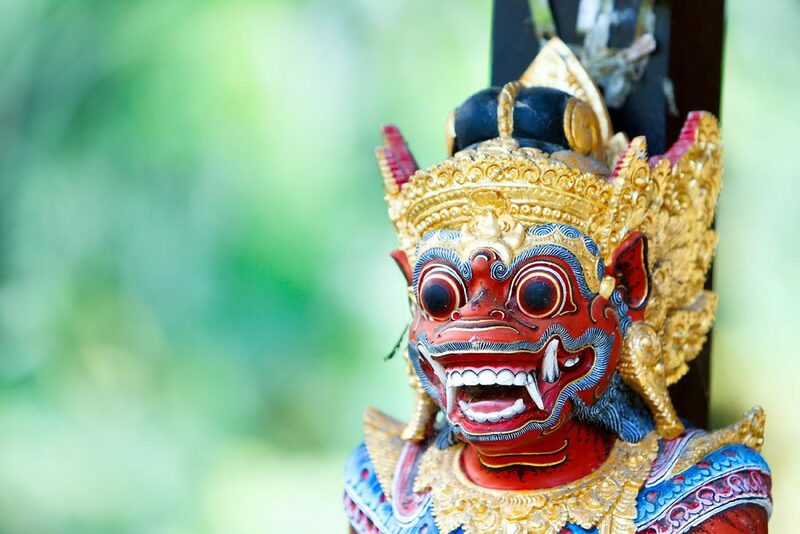 We invite lovers, artists and seekers of the true essence of Bali to discover the sights, sounds, aromas and flavours of genuine Balinese life in the heart of Bali. If you believe the place you stay should reflect the living culture you are coming to explore, then Jendela di Bali estate will resonate with you. This is not the tourist Bali. This is Bali as it was. The genuine Bali as it is still today. "By far the most amazing villa we have ever stayed at." We are neither a monastery or a modern hotspot. We are the real Bali, neither silent nor touristy. Imagine a unique estate set along a forested gorge, at the top of one of Bali's rare, high caste sacred villages. Nearby, rice fields create a patchwork of verdant green and gold. The sounds you will hear are not those of silence. The sounds you will hear are of authentic village life: the sacred, the industrious, the ebb and flow from sunrise to sunset and, on religious occasions, evenings as well. Nothing you will see or hear is put on for tourists. It is all genuine. Jendela di Bali is a private estate for your exclusive enjoyment. Jendela di Bali is one private villa estate, available for the exclusive use of one guest at a time. Most villas in Bali offer a only a single building, much like a western house. However, Jendela di Bali is unique in that the villa estate comprises several handcrafted 'bales' that together form a unique 'village' of living spaces - all for your exclusive private use. You do not share with other guests - the entire estate is for your private enjoyment. Each bale has been artfully designed to reflect traditional Balinese and Indonesian-archipelago architectural styles and is set within verdant tropical parkland gardens with fountains, flowers and vibrant bird life....all for you to enjoy in complete privacy.